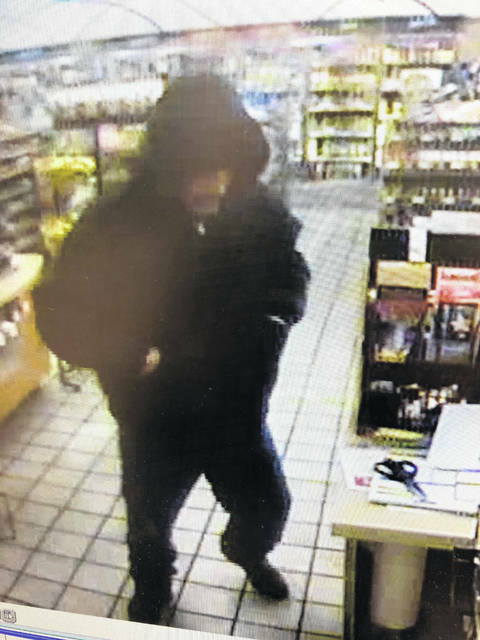 Provided photo Troy PD is investigating a robbery at West Main Street Speedway overnight. The suspect is a white male in his 50s, 5 feet, 10 inches to 6 feet tall with a salt and pepper goatee. If you have any information, call police at 339-7525 or 9-1-1’s non-emergency number at 440-9911. Troy P.D. is investigating a robbery at West Main Street Speedway overnight. The suspect is a white male in his 50s, 5'10 to 6-feet tall with a salt and pepper goatee. If you have any information, call Troy P.D. at 339-7525 or Miami County 9-1-1's non-emergency number at 440-9911. 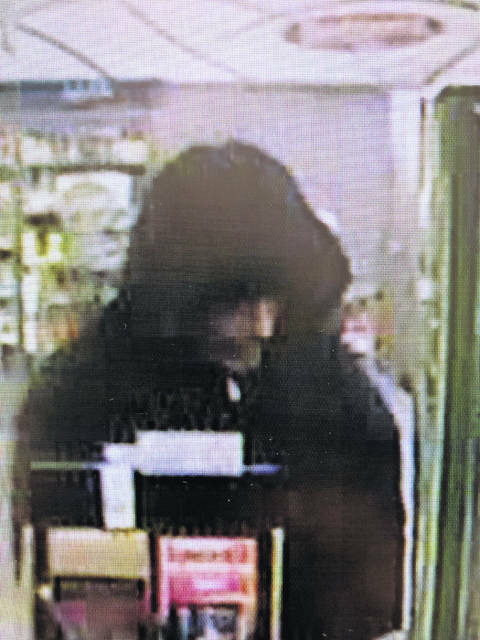 TROY — The Troy Police Department is investigating a robbery at the Speedway located at 1894 W. Main St. which happened in the early morning hours on Wednesday. According to Detective Nick Freisthler, the robbery took place around 3:10 a.m Wednesday. According to Det. Freisthler, the suspect purchased a small item from the store, causing the register to open. When the clerk opened the cash register, the suspect went around the counter, shoved the clerk to the ground and took off with the contents. The suspect then fled on foot to the KFC in a silver Pontiac Sunfire with a sunroof. The suspect fled with approximately $200 from the store. The clerk was not injured. The suspect is described as a white male in his 50s with a salt-and-pepper goatee. He is approximately 5 feet, 10 inches to 6 feet tall. If you have any information regarding this incident, call Troy Police Department Det. Freisthler at 339-7525 or call the Miami County Communication Center’s non-emergency line at 440-9911.
https://www.dailycall.com/wp-content/uploads/sites/30/2019/01/web1_SpeedwayRobber-1.jpgProvided photo Troy PD is investigating a robbery at West Main Street Speedway overnight. The suspect is a white male in his 50s, 5 feet, 10 inches to 6 feet tall with a salt and pepper goatee. If you have any information, call police at 339-7525 or 9-1-1’s non-emergency number at 440-9911. Troy P.D. is investigating a robbery at West Main Street Speedway overnight. The suspect is a white male in his 50s, 5’10 to 6-feet tall with a salt and pepper goatee. If you have any information, call Troy P.D. at 339-7525 or Miami County 9-1-1’s non-emergency number at 440-9911.
https://www.dailycall.com/wp-content/uploads/sites/30/2019/01/web1_SpeedwayRobber2-1.jpgTroy P.D. is investigating a robbery at West Main Street Speedway overnight. The suspect is a white male in his 50s, 5’10 to 6-feet tall with a salt and pepper goatee. If you have any information, call Troy P.D. at 339-7525 or Miami County 9-1-1’s non-emergency number at 440-9911.